Avalon Salon has become one of the hottest, most desirable hair salons in Salem. Our personal and experienced staff will embellish all of your senses and ensure that you get your look into high gear. We offer the finest haircuts, color and styling. We also offer customized hair extensions to fit each clients needs. 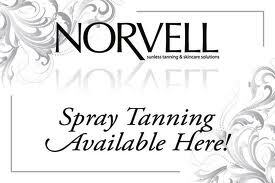 Our salon now does makeup and also airbrush tanning. Your options are endless with our highly trained team that provides these cutting edge services and more, all of which will help you achieve a look that you'll love ! Avalon salon also provides a wonderful treatment know as our all dolled up at Avalon. This is a service that offers airbrush makeup and Hairstyling provided to you at a affordable price. This is a big hit with Brides, wedding parties or girls just wanting to get all dolled up. Our highly trained artist works weekends and evenings. She also can travel to most locations.